The winter holidays are coming, and it’s a perfect time to take a trip, even just for a few days, and discover what December looks and feels like in other cultures. A Bucharest city break is the perfect plan for a few days filled with fun and holiday joy! Just after they are done celebrating Saint Andrew, the patron saint of the Romanian people in the last day of November, Romanians celebrate their National Day on December 1st, with a wonderful military parade at The Arc of Triumph, located in the northern part of Bucharest, on the Kiseleff Road. If you are excited to make a Bucharest trip these days, book your room at Concorde Old Bucharest Hotel and come & enjoy all the leisure activities the city has to offer during this festive time! A Bucharest city break might be extra delightful during warmer seasons, when it is easier to walk around the city and discover its magic, but it has its own charm during winter. The parade and, not to mention, the day off from work for Romanians on December 1st make Bucharest a city with a lovely and peaceful atmosphere. The city's winters can get windy, with temperatures sometimes dipping below 0 °C (32 °F), even to −20 °C, the extreme. This year, the last week of November has brought some wind and snow, with a few nights with freezing temperatures, but not to the extreme. The day’s temperature does not dip below zero, yet. Therefore, a lot of people will probably attend the parade at the Arc of Triumph. 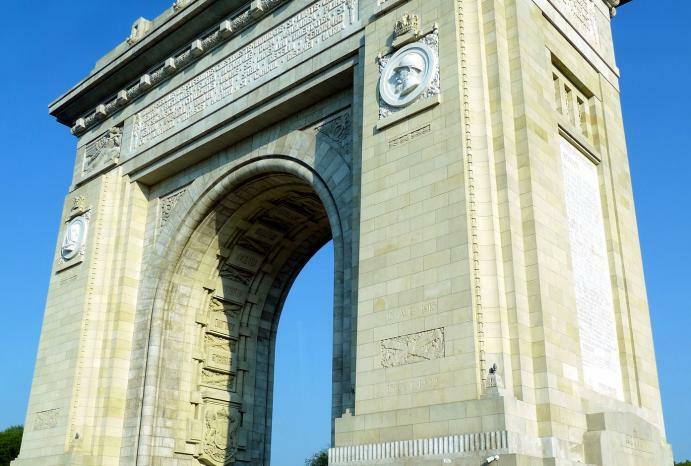 If you wish to see this important monument in Bucharest, which is also included in one of Bucharest tours, the military parade on December 1st is an exciting opportunity to attend! 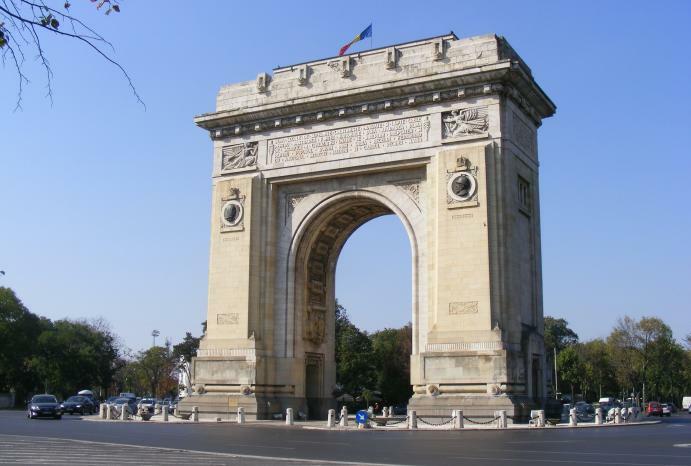 Make the best of your Bucharest trip and go see how Romanians celebrate their National Day, on the first day of winter. If you are too chilly to attend this event, perhaps shopping in Bucharest will be a nice activity for the day. Since most locals will be attending the parade, this means that the city is going to be less crowded in certain locations, such as shops and restaurants. The Bucharest malls are filled with places like these, where you can enjoy a nice experience, so going to the mall can be a solid plan for the day! It is also the perfect opportunity to dive into the local culture and visit museums, as they won’t be as crowded and you will have the opportunity to admire the displays at your own time. This kind of sightseeing can be arranged with the hotel’s tour guides when you call to make arrangements for your Bucharest city break. Concorde Old Bucharest hotel is located in the Old City part of Bucharest, so you do not need to wander too much around the city if you wish to unwind and enjoy a relaxing day. In this area, many cafes, pubs, restaurants - not to mention the historical buildings - will serve you right and make your weekend a wonderful one. Also in the Old City, you will find souvenir shops where you can find all kinds of folklore-inspired objects and Romanian delicacies. Don’t forget to buy a present to take back home with you! During the local holidays, Bucharest becomes quiet and more easy to explore, so it is the perfect opportunity to come visit! Plus, on the evening of December 1st, the festive lights will be on and will light up the biggest streets and boulevards in Bucharest! You will be dazzled by the colorful lights display and feel the Christmas spirit bringing the city to life!